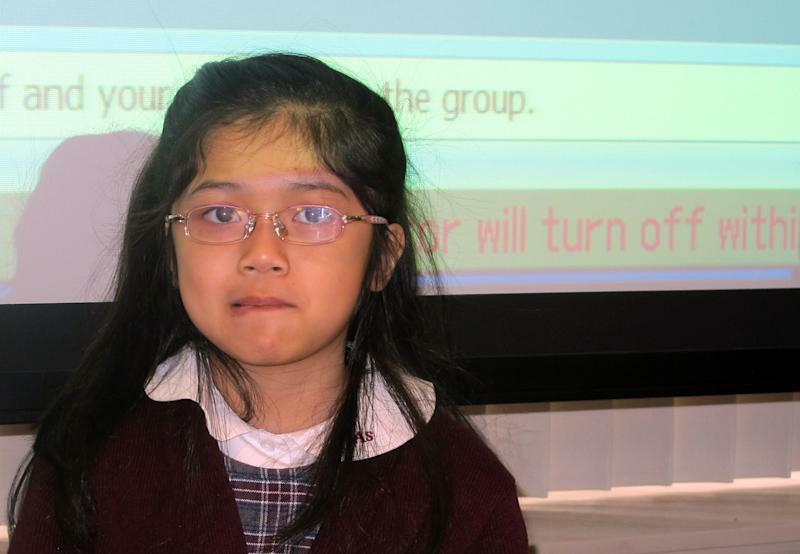 NEW YORK (AP) — Andrea Esteban tried to smile with half her face, crossing her eyes in the process, and her third-grade classmates giggled. Matthew Velez struggled to speak, "Luh, luh, uh, gronk," and the kids erupted in laughter. But the funny faces, the gibberish and some arm flapping were all part of a serious lesson to help kids learn the telltale signs of a stroke by imitating them. The idea is to enlist children, particularly those who may live with older relatives, as an army of eyes to help recognize the warning signs, get help for victims more quickly and hopefully save lives. "If my mom has a stroke, I'll know what to do," said 10-year-old Madison Montes. "Run to the phone and call 911." The experimental health education program at Montefiore Medical Center in the Bronx is aimed at the most crucial factor when it comes to a stroke: time. Each year, about 795,000 Americans have a stroke and about 130,000 die. Some are caused by bleeding in the brain, but the vast majority is caused by a clot that blocks blood flow, starving brain cells. The drug TPA can dissolve those clots and reduce disability but only if it's given within three to four hours of the first symptoms, and the sooner the better. Yet only about 5 percent of patients receive it, in part because many stroke sufferers don't get to the hospital in time for testing to tell if they're a candidate. The early warning signs include a droopy side of the face, slurred or strange speech, and the inability to keep arms raised. "There's a pretty good chance some children might witness a parent or a grandparent having a stroke," said Jim Baranski, CEO of the National Stroke Association. "So if they're armed with the signs and symptoms, they could likely save a life." Montefiore's program, one of a handful tried across the country, has been used since 2012 with private schools in its neighborhood, where children are often in a grandparent's care because parents are absent or both working. The goal is to study the results and, if successful, replicate the program across the country. "The kids get a kick out of it because they get to do a little acting," said Dr. Robert Glover, a neurologist who helped develop the program. "But when they're done, they know about stroke and they can teach their families." Dr. Kathryn Kirchoff-Torres, who led the class from St. Ann's School in the Bronx, said the kids are already "little message machines" bringing home from school what they learn about the benefits of exercise, not smoking and eating well. At the start of the stroke class last month, in a first-floor room at the hospital, the doctor asked, "Who knows what a stroke is?" "A heart attack?" one child offered. "Well, we like to call it a brain attack," Kirchoff-Torres said. "It's a problem with the brain." She then taught the children to use the word "FAST" as a memory device. With cartoons and music bringing the point home, they learned "F'' is for face, "A'' is for arms, "S'' is for speech and "T'' is for time. After the play-acting and the multimedia show, the doctor invited questions from the children. "How do you catch a stroke?" one boy asked. The doctor assured him that strokes are not contagious but can be caused by "high blood pressure, smoking cigarettes, junk food." "What if we don't have a phone?" a girl asked. Kirchoff suggested asking a neighbor or running to a storefront. "What if you live in the desert?" was the follow-up question, to which Kirchoff smiled and said, "It's a good thing you live in the Bronx." 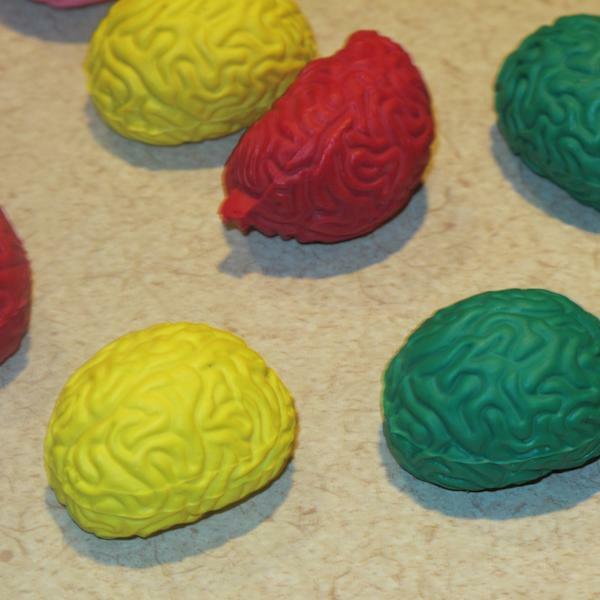 After the class, the children were presented with pens labeled "FAST" and with pencil erasers in the shape of human brains, which were very popular. One parent in attendance, Jason Sawtelle, said he felt the lesson "plants the seed"
"Maybe not every 8-year-old is capable of this," he said, "but some certainly are." Similar programs have been tried elsewhere. At Harlem Hospital in Manhattan, Dr. Olajide Williams uses hip-hop music to engage New York City fourth- through sixth-graders in three hours a year of stroke education. "Beyond sixth grade, the kids become a little too cool," Williams said. 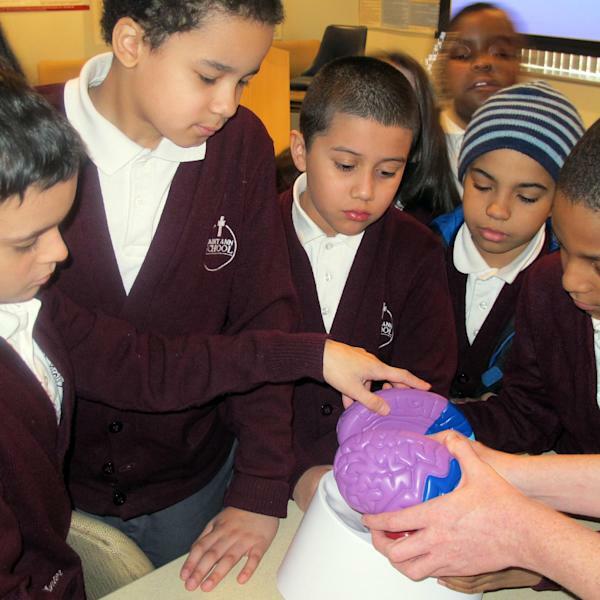 But with the younger kids, "we've shown that these children can learn basic stroke pathology." He said at least two children have been credited with helping to save lives. A similar stroke education study in the Corpus Christi, Texas, public schools used Tejano music. It was headed by Dr. Lewis Morgenstern, director of the stroke program at the University of Michigan Medical School. The 2007 study found that the youngsters responded well. "The data was highly positive in terms of knowledge about stroke and their intention to call 911," Morgenstern said. "The earlier we can make people aware of stroke and that it's arguably the most treatable of all catastrophic conditions, the better off we will be."